If An Unexpected Journey – the first entry in Peter Jackson’s three-film adaptation of J.R.R. Tolkien’s The Hobbit – was disappointing, part of the reason may have been because of how long it spent in the Shire. The settlement serves the same function in both The Hobbit and The Lord of the Rings: an untroubled, bucolic ideal that its hobbit protagonists yearn for whilst travelling on their respective quests. With its absence of danger or surprise, the Shire is differentiated from the rest of Middle-earth, which makes it a problematic location to set more than a few opening or closing scenes – the very constancy that makes the naturally-unadventurous hobbits want to return to it is the antithesis of the drama Jackson wishes to depict. With so much space to fill, however, the filmmaker was in no hurry to leave, and his dawdling in the Shire and elsewhere contributed to An Unexpected Journey feeling like a three-hour-long first act. Fortunately, The Desolation of Smaug finds Bilbo Baggins and his dwarf cohorts having left the serenity of Hobbiton far behind. Now solidly within the middle part of the story, Jackson doesn’t need to concern himself with beginnings or endings, and is free instead to focus on entertaining the audience. While the film suffers from many of the same problems that afflicted An Unexpected Journey – Jackson has never met a CGI bridge that he hasn’t wanted lots of people to cross – it is still a notable improvement. The lack of a long-winded introduction plays to the book’s strengths: where The Lord of the Rings is an enormous, solemn epic, The Hobbit is an adventure story, typically introducing a new creature each chapter. 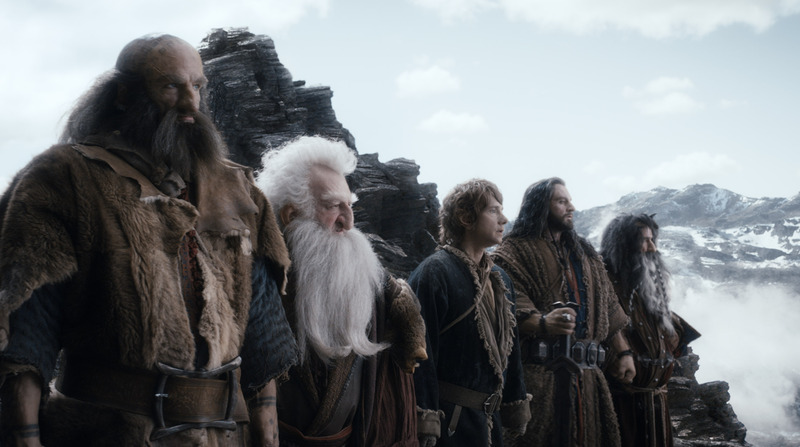 The Desolation of Smaug accordingly bounds from encounter to encounter, with little need to linger on any of them. Making a deliberate attempt to emulate the epic sweep of The Lord of the Rings, Jackson’s adaptation is far darker than its source material. But whilst he still strains towards the portentousness of his sequel trilogy, The Desolation of Smaug is nonetheless suffused with wit and energy: the scene in which Bilbo and the dwarves use barrels to escape down a river is amongst the most propulsive, purely exciting sequences in any of his Middle-earth films, shot with a fluidity reminiscent of the lengthy single-shot chase in the Jackson-produced The Adventures of Tintin. Similarly, Bilbo’s climactic parley with the dragon Smaug is wonderfully tense, the hobbit skittering evasively among cascading piles of gold, alternately attempting to flatter and manipulate his predator as coins landslide beneath him. Even though The Desolation of Smaug contains many excellent set-pieces, their existence is further proof that the expansion of the story to three pictures was ill-advised. The film’s standout sequences all come directly from the book, whilst its least necessary ones all do not. The trilogy remains like a bloated double album that should have been squeezed onto a single CD, its filler tracks discarded. Whilst The Desolation of Smaug definitely fares better from inflation than An Unexpected Journey, which filled out its running time with dull, endless fights with orcs and wargs, it still runs into problems whenever it strays too far from Tolkien. The series’ bright spot continues to be Martin Freeman’s depiction of Bilbo. A fine actor who found himself typecast in everyman roles following The Office, Freeman is so successful in the films precisely because of how innately relatable he is. 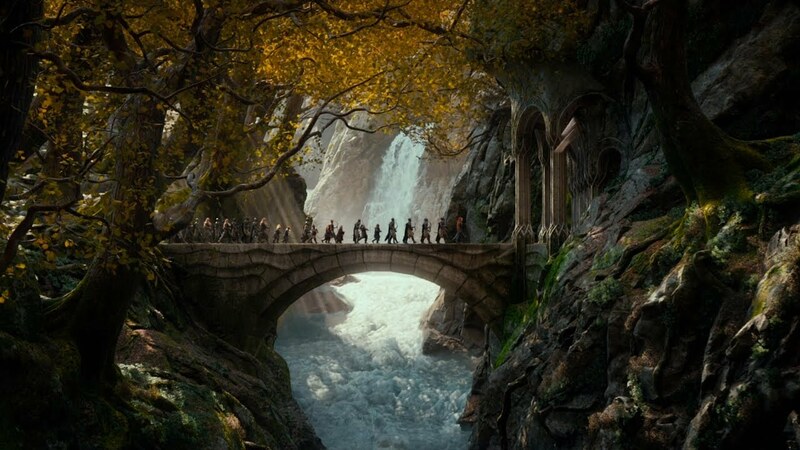 It’s through Bilbo that we understand Middle-earth: a land that’s scary, wondrous and a little silly as well. Decent and courageous and yet with a natural aptitude for deceit, his inherent contradictions make him more compelling than the staidly noble protagonists of The Lord of the Rings. 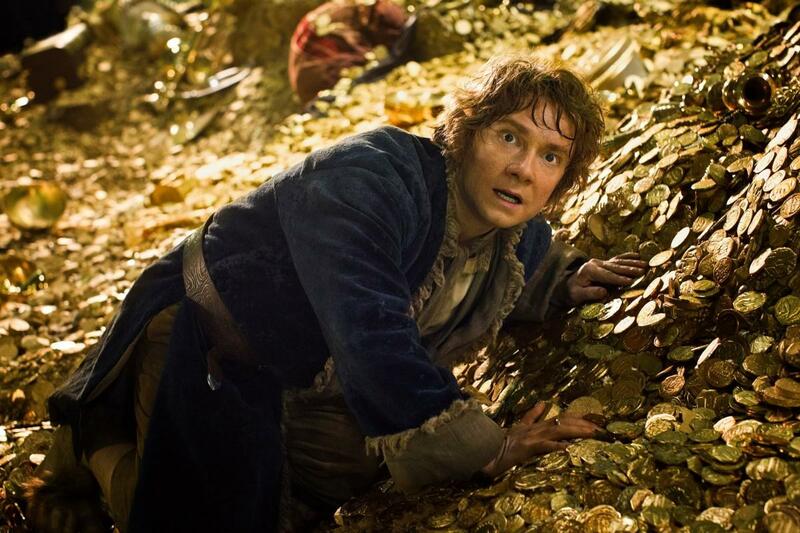 It’s telling that while the quest of his nephew Frodo was to dispose of a precious object, Bilbo’s is to steal one. As the One Ring extends its sway over Bilbo, Freeman’s portrayal evolves subtly. In one of the film’s darkest moments, Bilbo fights a horde of giant arachnids trying to eat the dwarves. Battling heroically, he suddenly sees the spiders as a threat to the ring and loses sight of his initial objective, turning barbarous in an instant. Bilbo’s subsequent disgust at his own murderous potential is a fascinating depiction of the ring’s seductive power; by contrast, Frodo mostly responded to its burden by looking pallid and falling down a lot. Where The Desolation of Smaug expands upon The Lord of the Rings is the notion that the One Ring’s insidious qualities aren’t unique, that greed and ruthlessness can be inspired by anything of particular value, from precious objects to power. Uneasy dwarf leader Thorin Oakenshield, who sets out on the quest in order to reclaim the Lonely Mountain and restore the standing of his people, is implicated by the notion that he is just as entranced by the mountain’s stockpiled riches as Smaug. The Desolation of Smaug’s strong characterisation is only let down by its secondary antagonist, Azog, an orc chieftain already long dead in the book. For a literary universe where villainy derives from the corruption of good people as much as it does from ancient monsters, the omnipresence of such an uninteresting enemy is disappointing. Constantly chasing the dwarves to little effect, Azog exists only to give a sense of urgency to their quest, despatching yet another wave of easily-bested orcs at the group whenever the momentum sags. Deep within Tolkien’s exhausting mythopoeia The Silmarillion, the author remarks that the elves of Middle-earth define the passing of their age as starting at the moment of its creation. The concept of something’s end being present within its beginning is a miserably beautiful one, and this melancholic perspective hangs heavily over both Tolkien’s writings and Jackson’s cinematic interpretations. Essentially functioning as Middle-earth travelogues, both trilogies find their protagonists journeying from one exotic location to another, and each new forest, mountain or kingdom is rarely encountered in full bloom. A disease of some description has often taken hold: in The Desolation of Smaug decay is present everywhere from the hallucinatory forest of Mirkwood to the corruptly-governed Lake-town. Late in the film, the dwarves attempt to insult Smaug by accusing him of being “in his dotage”, but the same holds true for all of Middle-earth. Even when the characters ultimately triumph against evil, their actions are recognised as contributing to the end of the “Færie” age and the start of “the Dominion of Men”. More so than similarly outsized blockbusters or other fantasy adaptations, The Hobbit and The Lord of the Rings are defined by a sense of waning glory, an ever-present autumn.